Ten years after the end of Pre-Crime in Washington D.C., one of the three Pre-Cogs struggles to lead a normal life, but remains haunted by visions of the future. Dash and Vega team up again to find a killer who is currently down on love. Dash continues to reach out to his siblings for help. 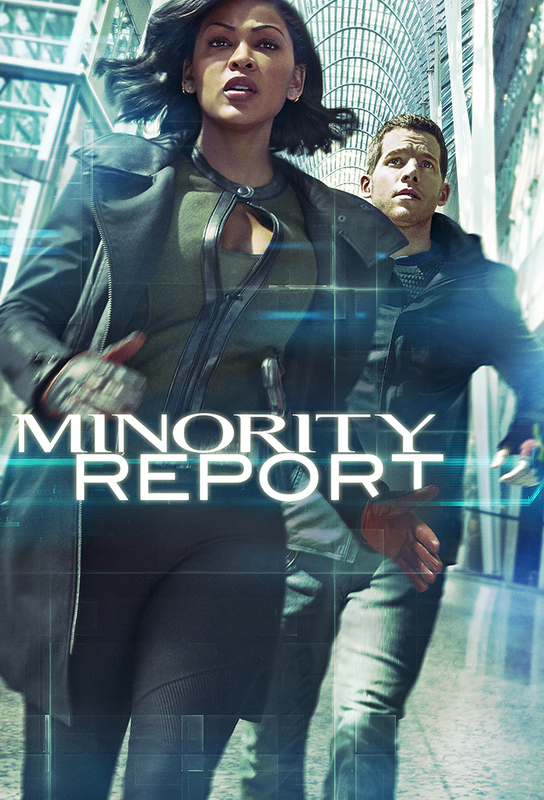 With the initiation of Hawk-Eye, a new police program monitoring suspicious behavior, Vega seeks help from Akeela to get Dash in as the new program analyst. Vega and Dash begin to suspect that Arthur may have a bigger plan up his sleeve. Dash goes undercover to catch a woman suspected of having a vendetta against her sisters killers. Agatha begins to set her own plans in motion. After Dash and Vega realize that Vega is the victim in Dash’s latest vision, they team up with someone who played a key role in the murder of Vega’s father many years ago. Arthur digs further into his and his siblings’ memories. Dash endeavors to investigate a murder on his own, but when things dont go as planned, Vega is forced to reluctantly recruit Arthur and his underworld connections to help out Dash. Details of Agatha, Arthur and Dashs pasts are uncovered. Dash and Vega follow a vision to the Southside, encountering distrust from the community. Meanwhile, Blakes suspicion of Vega and Dash intensifies. Blake withholds information from the Defense Intelligence Agency when he learns they are on the precogs trail, and Arthur takes matters into his own hands to save them. Meanwhile, Dash gets a vision of a political assassination that intrudes into Vegas personal life. The precogs and Vega must come together to thwart a chemical attack by Memento Mori. Meanwhile, Blomfeld is determined to get the precogs back in the milk bath.